Mark Williams was a skilful big-man who could take tremendous marks and was equally adept at kicking with either foot. He is credited with several bags of ten goals or more in a game and over 1,000 goals in a long career in North-West Tasmania and Victoria. Williams played with Penguin in the NWFU before being recruited to North Melbourne under Ron Barassi. After limited opportunities and a knee injury he was one of a number of players traded to Footscray for Gary Dempsey. After returning to Tasmania, Williams joined Devonport and became a dominant player in the 1981 Greater Northern League. 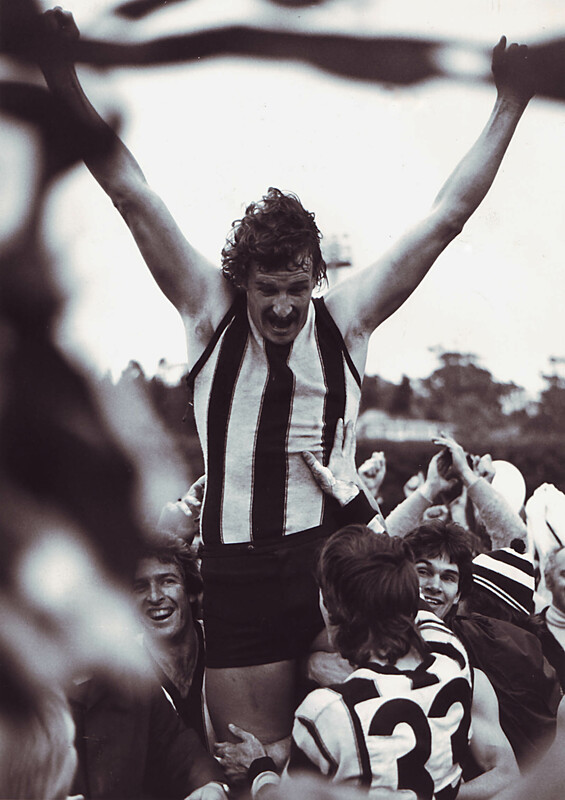 That year he was instrumental in leading the Magpies to their first NWFU flag for nearly 50 years. Having coached Devonport in 1986 Williams switched to the regional NTFL competition, first joining East Devonport and then Latrobe. He was the NTFL’s leading goalkicker in 1988, with 119 goals for East Devonport, and in 1989 bettered that tally for Latrobe, kicking 132 goals for the season.